'Liquid Assets' is a definitive guide to Ireland's oil and gas resources and how the State manages them, published by Dublin Shell to Sea. 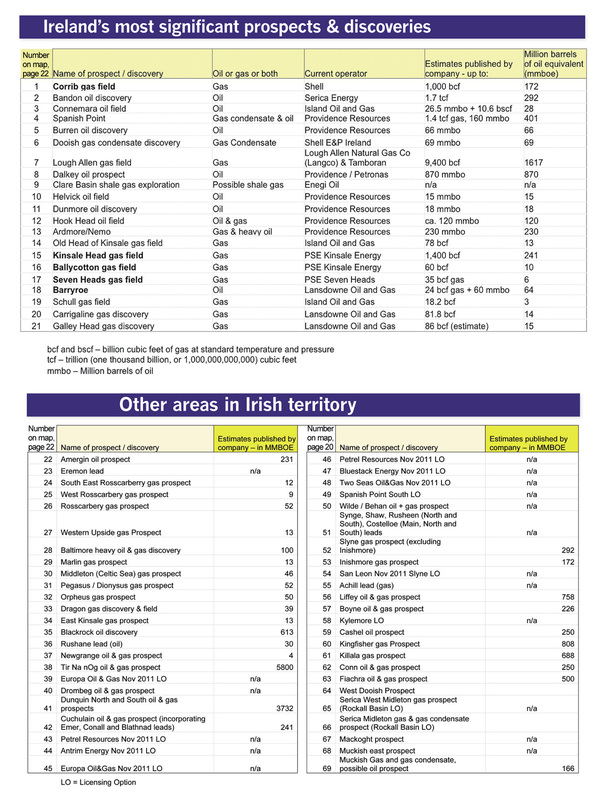 One element of this 44-page information booklet is a groundbreaking map, showing for the first time all the known prospects and discoveries in Irish territory, together with tables listing the relevant exploration companies' own estimates for how much oil and gas these licensed areas contain. The map and tables – the product of months of painstaking research – are backed by an extensive online spreadsheet, which contains detailed sources and further information and which will be up-dated as companies release new figures. Sources Spreadsheet: contains extensive background information about the 69 areas shown on the map and lists sources. Tables summarising key information about licensed areas, including company estimates. These reveal the true extent of exploration in our waters. The total of the estimates issued by exploration companies for their licensed areas in Irish territory is 20,964 million (i.e. 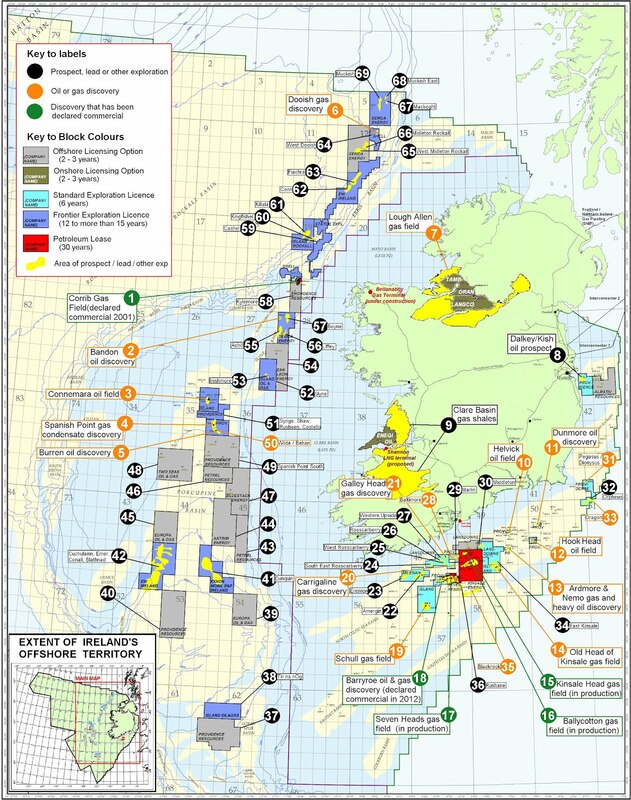 almost 21 billion) barrels of oil equivalent and belies the oil industry's repeated claims that Ireland's offshore is an "unproven territory" with scant exploration taking place. The booklet and online material are intended as a resource for researchers, journalists, campaigners, politicians and the general public. Debate on this topic has been hampered by misinformation and pro-corporate spin. 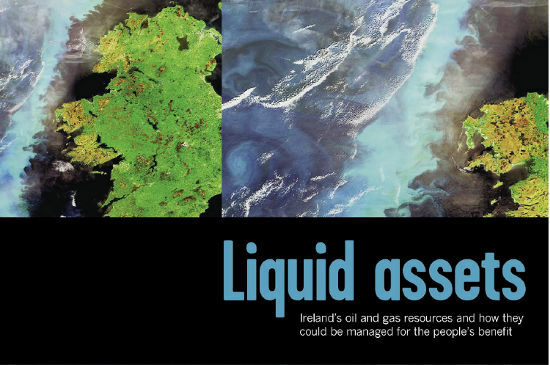 'Liquid Assets' provides a much-needed critical analysis of Ireland's management of its hydrocarbons; compares our fiscal regime to those of other countries; and explores some policy alternatives available to Ireland with concrete examples from comparable countries. The booklet debunks some of the dominant myths about our oil and gas, for example the false belief that further discoveries in Irish waters will necessarily lead to jobs, investment and a domestic supply of oil or gas. 'Liquid Assets' examines the dangers of fracking; considers the question of fossil fuel extraction in the light of climate change; and documents the resistance of communities in north Mayo to the Corrib Gas project. The booklet has a cover price of €2.